Twenty years ago IBM’s supercomputer Deep Blue defeated world chess champion Garry Kasparov. Well, a fortnight ago The Guardian reported that AlphaZero, the artificial intelligence (AI) program created by Google’s DeepMind, had beaten the world’s best chess-playing computer program Stockfish 8, having taught itself to play in under four hours. 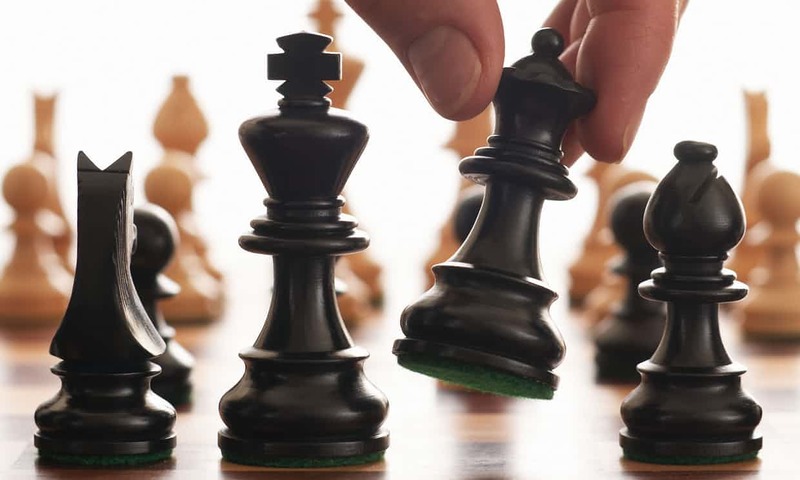 Even Kasparov was impressed, enthusing “It’s a remarkable achievement.” AlphaZero used a machine-learning approach, having been given no human input apart from the basic rules of chess, and processed significantly fewer moves per second compared to Stockfish 8. At the recent RSNA meeting in Chicago, the dominant theme was AI, where some lectures were so popular that delegates were turned away from crowded venues. In fact, there were more than 100 AI-themed scientific presentations and courses. According to AuntMinnie.com, the proverbial elephant in the room was whether AI might take away work from radiologists, but few experts believe this will be the case. The potential of AI was highlighted by numerous vendors whose commercial applications are gaining momentum, with deep-learning algorithms geared towards improved radiological performance. One of the vendors was the Dutch firm ScreenPoint Medical – headed by retired academic Nico Karssemeijer (seen at left) – which has developed Transpara, a product that analyses full-field digital mammography (FFDM) images. Doctoral candidate Alejandro Rodríguez-Ruiz from Nijmegen in the Netherlands (seen below right) compared the performance of Transpara with 24 radiologists who reviewed 1,435 FFDM exams, of which 23% were malignant. The exams were ranked on a scale of 0 to 10, with 0 indicating no lesion was present while 10 indicated a lesion was definitely malignant. The area under the curve (AUC) – a measure of diagnostic success – was higher for Transpara than 11 of the 24 radiologists, lower than 11 and equal to 2. 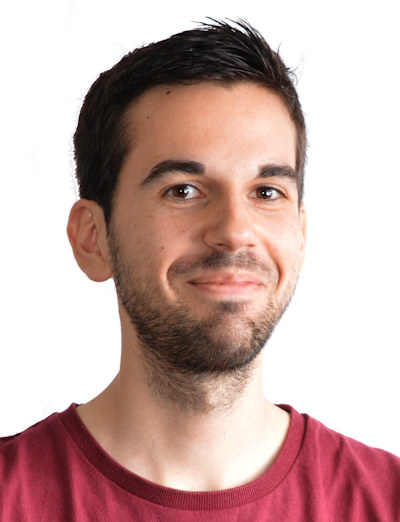 Despite these findings not being statistically significant, Rodríguez-Ruiz was upbeat: “We’re on the verge of a new era in mammography, similar to how in the last decade, digital breast tomosynthesis gave rise to many studies to assess its full potential.” He believed this AI system could be used as a decision-support tool or as an independent second reader, thus improving radiologist performance and cost-efficiency. 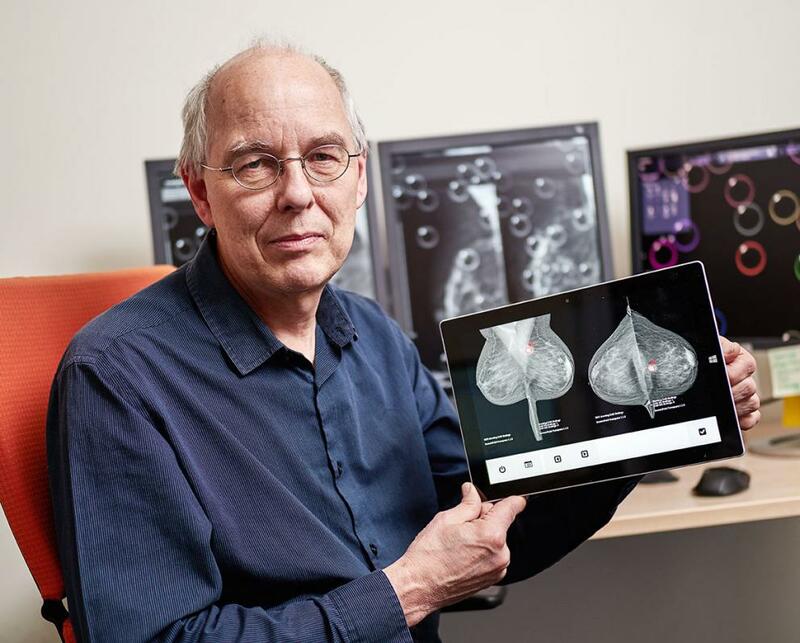 In a recent review article for Diagnostic Imaging Europe, Karssemeijer commented: “The fact is that the reading of screening mammograms is hard for humans. The use of AI is expected to reduce cost, increase the quality of screening, and reduce variability in detection.” To paraphrase Disney: AI, AI, it’s off to work we fly! Harvard Radiology Professor Dan Kopans`s invention. This amazing mammography machine can discover up to 85% of all breast cancers, in women with and without dense breast tissue. All Cape Ray has to do, with Professor Kopans`s guidance, is to combine Ultrasound with the D 3, to enable to discover up to 95% of “all” early breast cancers in women with or without dense breast tissue! Have you the remotest idea of how many women`s lives will be saved? ?